SXSW Release It is a special pitch competition featuring ten cutting-edge companies selected to pitch their product or service live at SXSW. 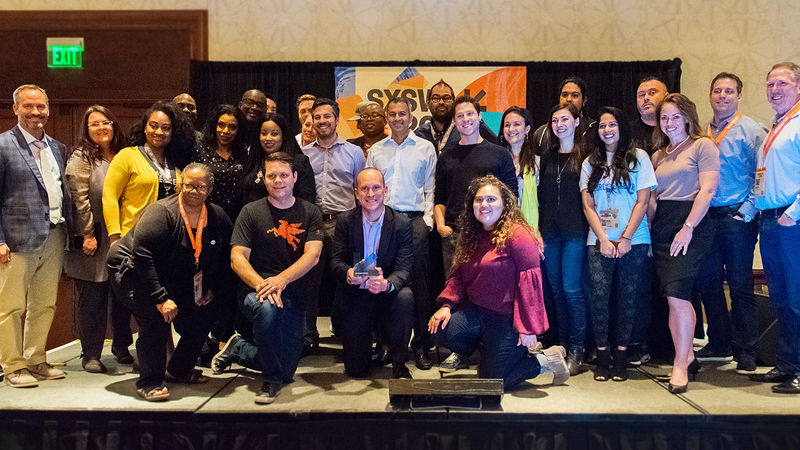 Ten cutting-edge companies launching a new product or services during this SXSW season will present to a panel of hand-picked judges, comprised of technology industry experts, venture capitalists, and high-profile media. A winner will be chosen based on which product or service is most likely to succeed in the marketplace. Past winners for the Release It event include Potrero Medical, Honest Dollar, Inteliclinic Inc., Neuroon Open, and Abartys Health. Ampl is a News Discovery & Article Sharing Platform that enables messaging and annotation within articles. Ampl aggregates from over 250+ premium publishers and 90+ Topics. Ampl’s mission is to become the go-to social platform for news consumption, inspiring more discussion around people’s interests by making Article Sharing fun & easy. ZPEG increases video encoder performance by 25% or more without compromising the visual experience. Companies sending video can reduce their bandwidth bill, increase the visual quality, and reduce buffering with a simple to install upgrade to their system. We enable people to learn to dance anytime, from the comfort of their homes, from the best instructors in the world, and at a fraction of the cost, using AR with just a smartphone or tablet. Dresslife enables 1-to-1 personalization for fashion with exceptional accuracy, by integrating human feedback into its AI. Its technology allows customers to find the clothes they love and that fit. Dresslife’s vision is to create a market network for fashion that matches clothing for consumers across retailers and brands. Todd Nuckols is the Managing Director of Lighthouse Labs, an active adviser to Canvas solutions, wild supporter of a co-working space in Richmond, VA and founder of StartRVA. Co-founder of Venn Ventures, Investor in Tech Startups, lots of investments in Texas startups but also throughout the U.S. & Europe, industry agnostic, 3 Exits, Entrepreneur, Female Investor, Mother. Helped build Worldwide Express from the ground up, now worth $2B. Travel enthusiast, eternal realist. Jennifer Skjellum, Director of Programs at the CO.LAB helps entrepreneurs getting started and those ready to scale. Her career includes building; companies, educational programs, investor networks, and nonprofit organizations. Will Akins started the Dallas WeWork Labs location to support startups in DFW through impactful connections and resources. A Florida transplant, he moved to Dallas to get involved with startups and joined The DEC.
Revenue and Monetization Expert C-Suite Strategist, Brand Builder, Marketing & Communications Expert, PR Specialist, Event Producer. Business-centric technologist driving applied research into organizations. Professor of Blockchain at the University of North Texas. Raquel Vincent is a content creator, coach, and marketing manager. With over 10 years of experience working with nonprofits, startups, and entrepreneurs, she brings a wealth of knowledge and a unique perspective to the table. Christiana Yebra is the founder of Currency Strategies, a Texas-based company focused on increasing customer acquisition and engagement. She is also the Co-Founder for the Dallas Millennial Club, a service-based movement to bring a positive sentiment back to the word “millennial” through engaging events and volunteering. After college, Christiana helped to launch Texas’ first on demand urgent care app where she developed her love for technology, business development and marketing strategy. Her dedication to driving consumer engagement and improving user experience has led her to start businesses in event production, digital marketing, and most recently a STEM-related apparel line for young girls. Olivia is an engineer, entrepreneur, product manager and business leader who is passionate about building cutting edge technologies that positively impact millions of lives.